This magnificent Chinese art of folding tea into small balls will add to your experience and at the same time let you enjoy the health benefits of tea. 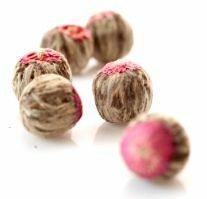 These peculiar tea balls come in many sizes and transform themselves into beautiful flowers when placed into hot water, offering you a restful and refreshing moment. So take the wonder and pleasure of drinking tea to another level and prepare yourself a cup of blooming tea. 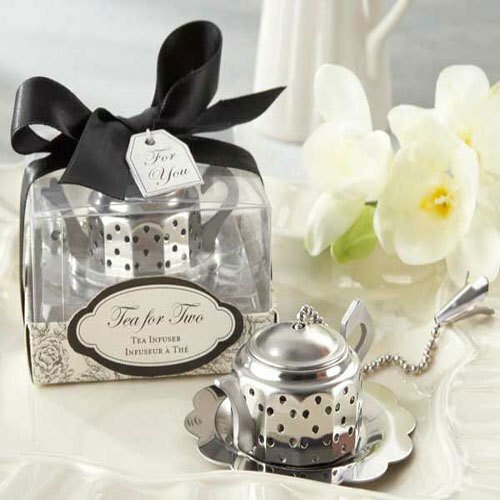 If there is a tea that invites you to share your teatime with friends and family it is certainly this one. Before having a sip of this fragrant tea, let’s first find out how this art form found its way to the world. When looking for this tea, you may come across many designations, being the most popular among tea connoisseurs Flowering tea and Blooming tea. Nevertheless, don’t be surprised to see it called artisan tea, display tea, art tea, crafted tea, hand-crafted tea and China special tea. The craft of tea folding is an ancient Chinese art that was reinvented in 1980’s with the creation of new blooms and styles. In the beginning of the 21st century, blooming tea became increasingly popular in the West and today its presence is definately well established among tea lovers around the world. Initially, blooming teas were not produced for consumption as the leaves serving as base were of poor quality, resulting in a bitter flavour. The main objective was merely to enchant people, to offer them a visually stunning experience and a moment of pure relaxation. As it gained popularity, blooming tea started to be exported to other continents. So premium quality teas were now used to provide tea lovers the perfect experience – an unforgettable sight and a tasteful drink. To create this amazing tea, loose leaf green tea is most commonly chosen, but you may also find oolong tea, black tea or white tea serving as base to produce the tea balls. Imagine yourself sitting at home, perhaps reading a book and having the pleasure of beholding a tea ball unfolding in the water and turning into a beautiful flower. Fantastic, isn’t it? If you wish to lose body fat, lower blood pressure, prevent heart diseases or boost your immune system, try blooming tea and you won’t regret it! Find out more on the green tea health benefits and make the best out of your experience. Also depending on the herb used to create the flower in this blooming tea, you may enjoy many other health benefits. For example, hibiscus flowers can help you lower blood pressure while jasmine is great for improving your digestion. Check out the Herbal Teas section for more information on each of these herbal infusions. Let a flower bloom in your teacup! When drinking blooming tea, you should beware of its caffeine content. Although caffeine in tea is less than coffee, even caffeine in green tea may be harmful if taken in excess. If you are pregnant, you should reduce your consumption of tea to more or less two cups a day and always consult with your doctor first. It is also important to know what herb has been sewn into your blooming tea, get to know its side effects. For example, hibiscus is not advisable if you have low blood pressure. It’s time to enjoy a singular visual experience. This splendid infusion will give you a flowery scent and a lingering taste. 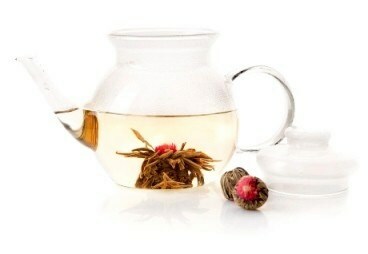 To bring out the best of your tea and sense all its wonderful notes take time to discover How to Brew Flowering Tea. Always use a transparent glass teapot. This is a crucial element in the process. You will want to see the ball of tea unfolding and turning into a beautiful flower. It is absolutely magical and always a surprise! Make sure you use spring water. You must protect the flavour of your tea, to fully enjoy its taste. It’s time to heat up the water. If you are using black tea or oolong tea leaves, you should bring water to a boil around 85ºC - 90ºC (185ºF – 194ºF). On the other hand, if you chose to go with loose leaf green tea or white tea, you mustn’t boil the water as it will ruin your tea. Keep it around 70ºC (160ºF). Place the ball of tea inside the glass teapot and pour the hot water on it slowly. Now the magic will begin! Let your blooming tea steep for five to ten minutes. The ball of tea will slowly unfold, almost like it is alive and dancing. Allow it to fully open. 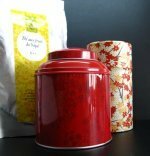 Regular teas become bitter fast, but blooming teas do have to undergo longer steeping times to fully bloom, so you don’t have to worry about it. It won’t ruin the flavour. Choose tea balls made with green tea, so they can withstand longer steeping times without making your tea too strong to drink. Your tea is ready to be served. Pour it into tea cups and you may re-steep it two or three times more. This is the perfect tea to offer as a gift to friends and family, to have as table decorations, to help you meditate and relax after a long day at work or to simple enjoy its floral scent and subtle flavour. Here’s a tip for a different tea party. 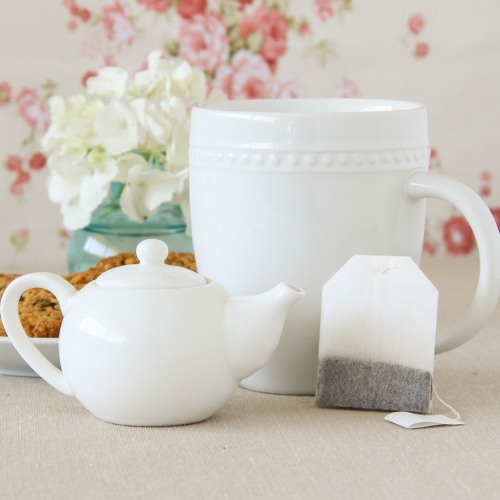 Instead of serving ready-brewed tea from one big teapot, arrange to have a smaller glass teapot for each guest. Pour the hot water in their presence and let them enjoy the blooming moment. Choose different blooming teas per guest and let your room be filled with different colours and scents. Buy Your Flowering Tea Today! 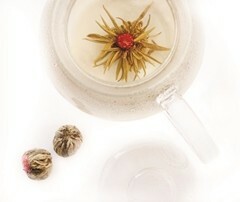 Click on the image or on the link below to purchase from Starwest Botanicals your Flowering Tea. Blooming teas are so much more than a simple cup of tea, they are a whole new away of experiencing tea. Choose the perfect bouquet for your tea and enjoy one of these wonderful blends. Buy your Flowering Tea here! This is certainly a different, enthralling and healthy tea. Try it! It may just be your right tea.